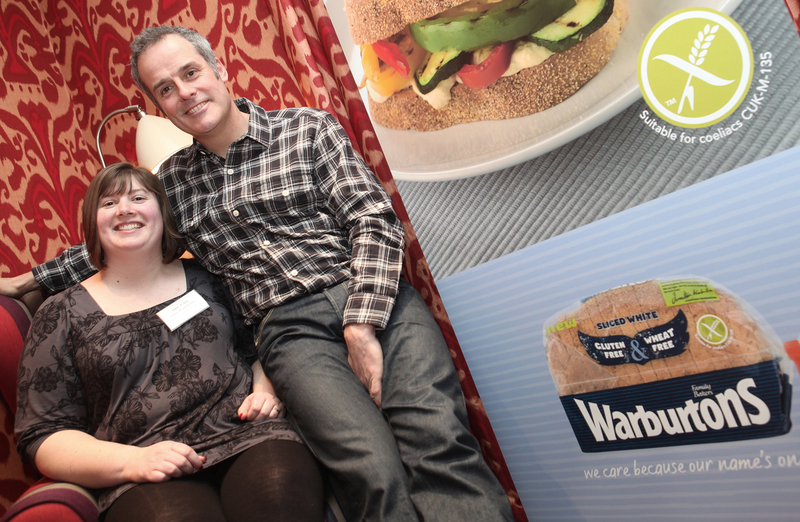 Last month I was very excited to be invited to the launch of the new wheat-free and gluten-free range from Warburtons. This is quite a leap forward by a major brand and is one that I’m sure with be very welcome by those who follow a gluten-free diet. 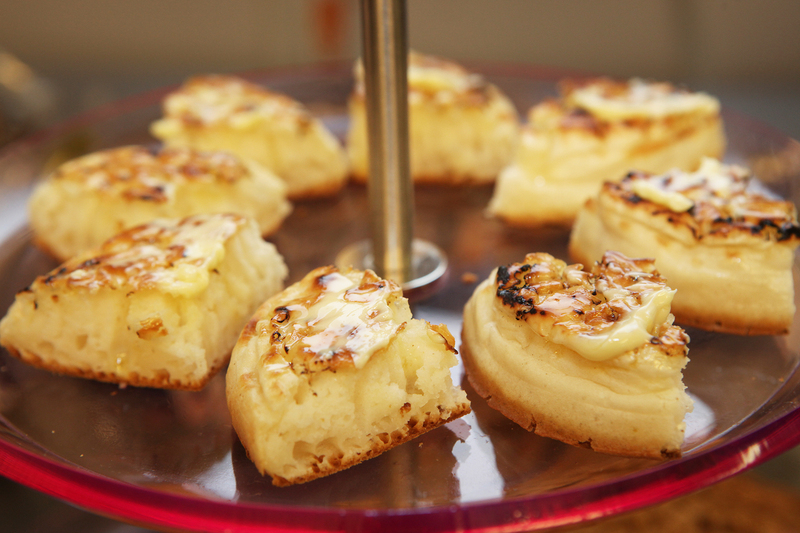 The current range consists of white and brown sliced loaves, sub rolls, crumpets and tea cakes. Not only have Warburtons put in a great deal of time and effort into developing and testing recipes, considering labelling and packaging and working with Coeliac UK, but they have also opened a bakery in Newcastle that is dedicated to baking the gluten-free products. They have also been working closely with celebrity chef Phil Vickery, who we got to meet and was genuinely lovely. He is passionate about cooking and baking gluten-free products and we received a copy of his latest book, Seriously Good! Gluten Free Baking, which I really like the look of. I rushed home and made a couple of recipes straight away and can confirm that the Buttermilk Muffins are seriously good! I also got to catch up with fellow bloggers Sally and Pippa, which was lovely, and got to chat to some of the staff at Warburtons, who were very knowledgeable and extremely passionate about their new range. In particular, Darren Littler, Warburton’s Head of Innovation Product Marketing, was brilliant and so enthusiastic about the gluten free products. He is committed to continuing to develop the range so it is in line with what they produce in their ‘regular line’. It is refreshing to meet someone who is so passionate about their job and genuinely interested in hearing feedback and ideas for future developments. So, what does the gluten and wheat-free bread taste like? I thought the white bread was especially good and better than other gluten-free bread I’d tried before. The brown bread had that slightly crumbly textured associated with gluten-free bread, but overall I was pleasantly surprised. I didn’t try any crumpets or teacakes but I definitely will do when I see them in the shops. The event and product range has inspired me to explore the world of gluten-free cooking and baking in more depth and I have already made quite a few changes in my diet. Disclosure: Warburtons paid my travel expenses and provided a goody bag with product samples and a cookery book. I like that photo of you and Phil! Thank you for your nice Information. I like it very much. I will try it at my home.